03-21-2013. 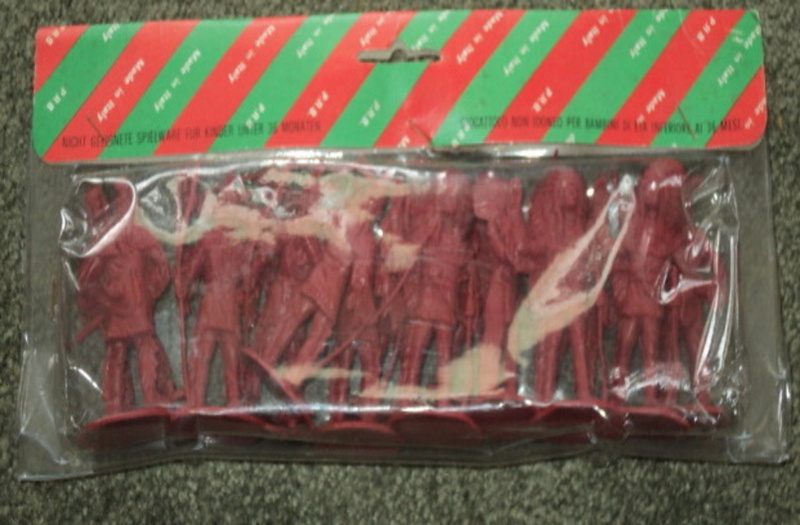 Got these from Italy, they were made by P.R.B. Never heard about them and never saw them before. 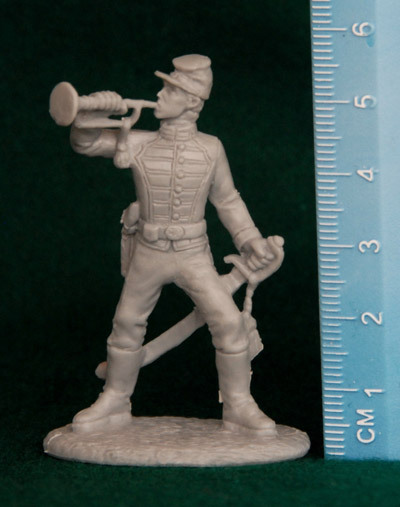 But they look real good, think they are around 60mm. 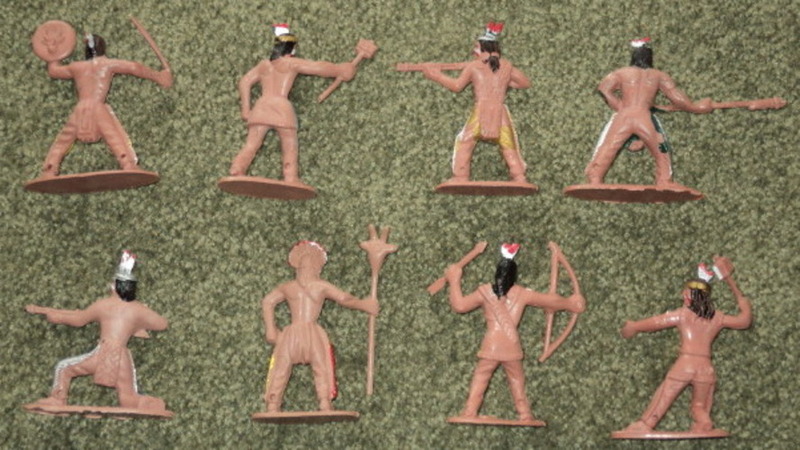 Going to paint these guys up and use them as some of my leaders. 03-21-2013. 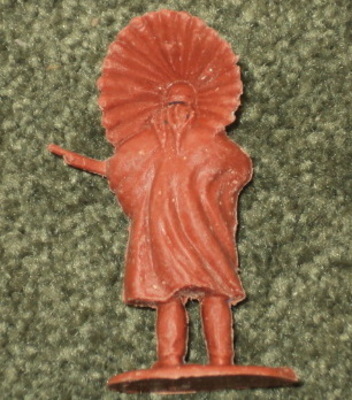 Picked this guy up on ebay a few weeks ago, don't know who made him. Trying to find out and get some more in better condition. 03-21-2013. 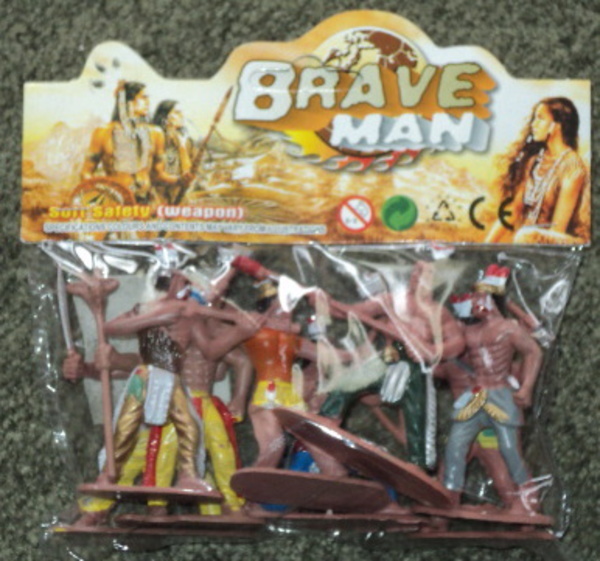 Found these American Indian/Cavemen called "Brave Man" the other day. 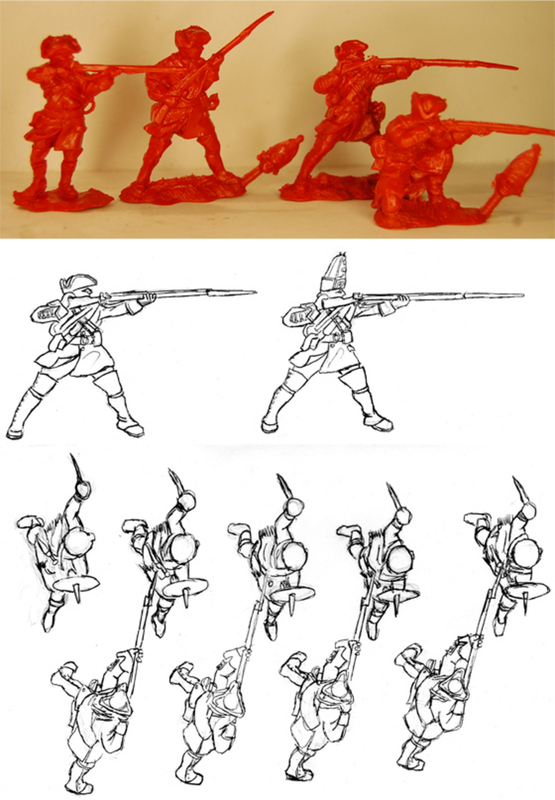 They are crude, but I think I can convert some and should look decent painted. 05-26-2012. 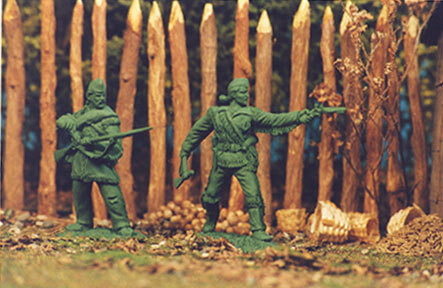 Check out the link above on Barzso Battle of Lexington Green. 05-24-2012. 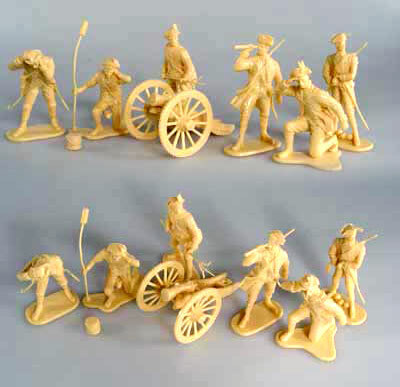 I picked up some soldiers that are made by Hat, they are the 7 Years War Prussians in action. 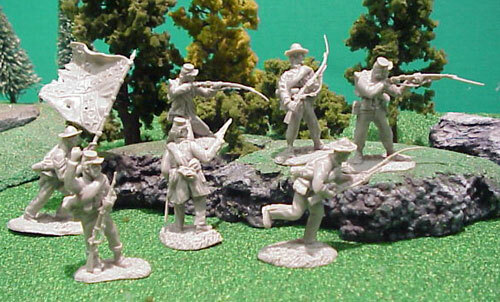 Still waiting for the marching set to come in the mail and I will show they in about a week or so. 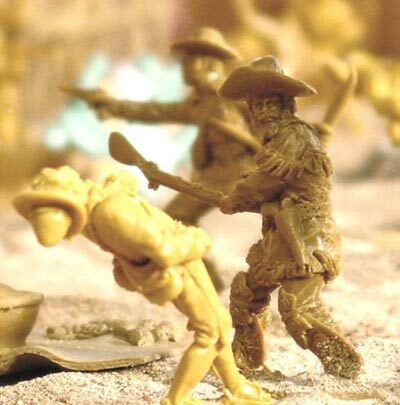 I have some Hat figures but was never really interested in them, until now. I really like what they have done here and the best part is the option they give to change there hats. 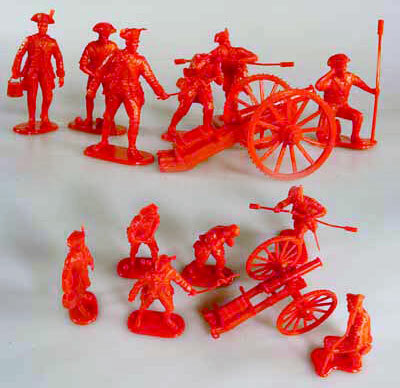 You can have a Fusiliers, Grenadiers or Musketeers. 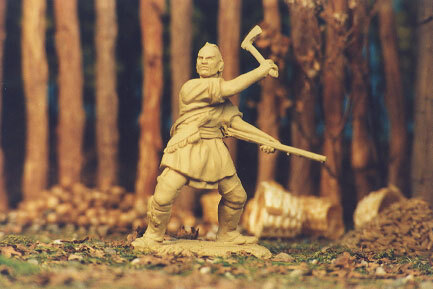 They are made for the & Years War as Prussian Infantry, but can be used as a Hessian for the American Revolution. 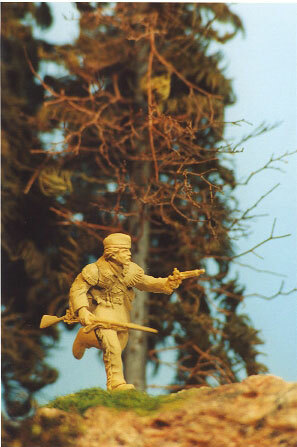 Or as a stretch as French Infantry for the French & Indian War. 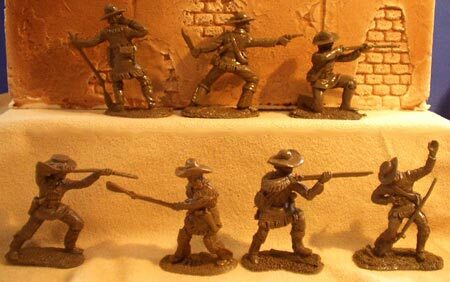 You get 18 figures, 18 hats for Musketeers, 9 hats for Grenadiers and 9 hats for Fusiliers. Still waiting about a web page change, but for now I will work with what I have. 05-07-2012. Hey all, I'm working on revamping this site. 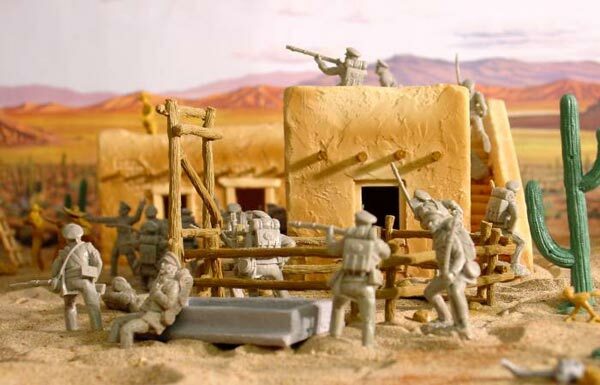 I want to add pages about the best figures to use for the period that your interested in, pictures that show uniforms for painting, plus some history to go along with this. And some other things. Hope it is finished in the next few weeks ( = . 05-01-2012. 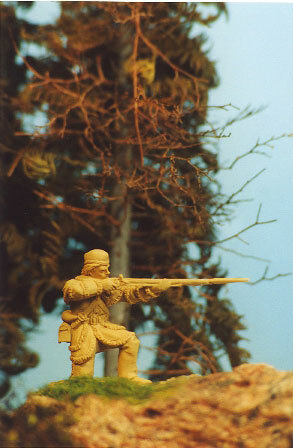 Got back from Gettysburg yesterday, went to the Gettysburg Toy Soldier Show on 04-29-2012. I was nice, my girlfriend even won the door prize ( =. Had a feeling that she would. We got there a little late in the day, drove about 2 & 1/2 hours to get there. We stay in Gettysburg after the show and looked around the town & battlefield. Stayed overnight and to make it a mini get away. 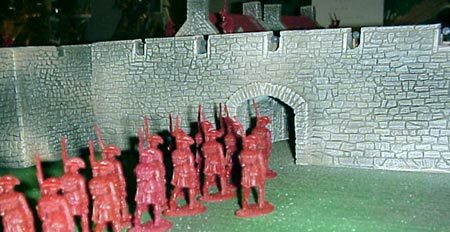 There were some nice setups of Toy Soldiers, had a mix of plastic and metal painted figures. 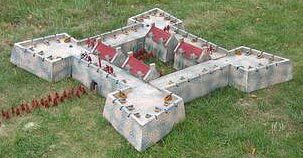 Saw a few Barzso Playsets, that I had or didn't want to spend the money on right now. 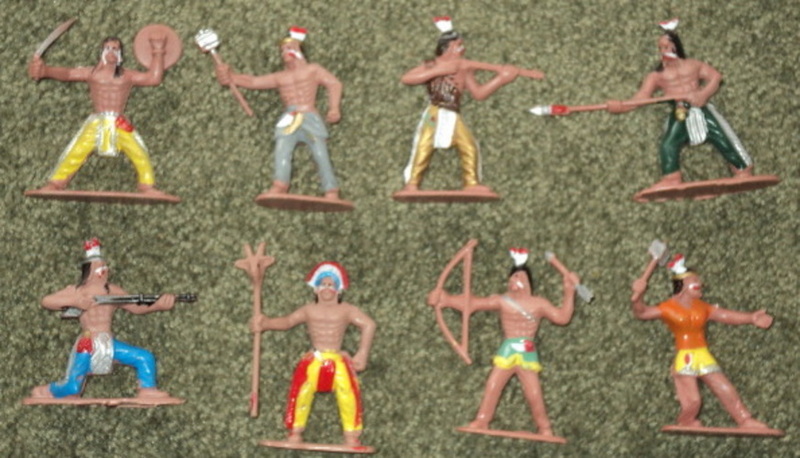 I picked up a few Indians from Marx & an another British company. 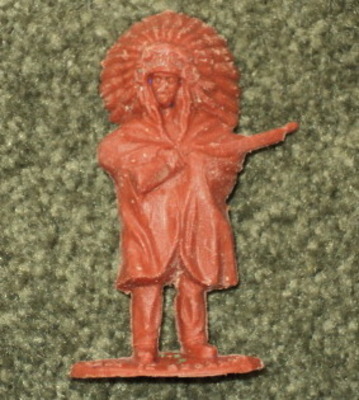 Also got a painted Mounted Native American Indian from Blackhawk. Got a good deal, I post some pictures of the figures that I got over the weekend. Here are some pictures of the show. 03-30-2012. 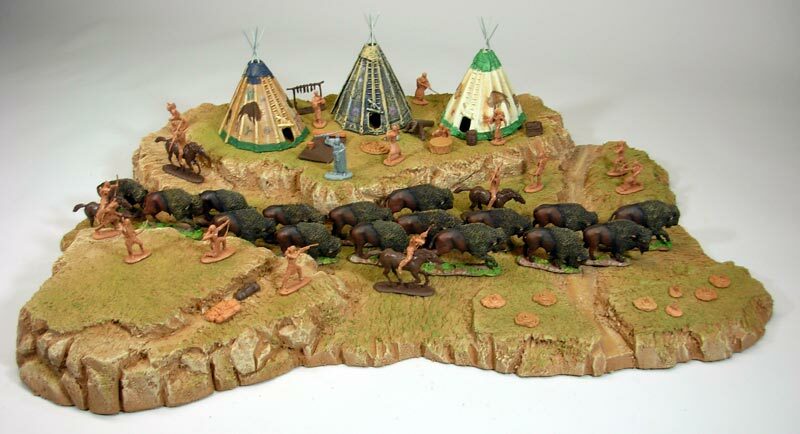 Well I finally purchased the Barzso Great Sioux Buffalo Hunt Playset for $149.99. 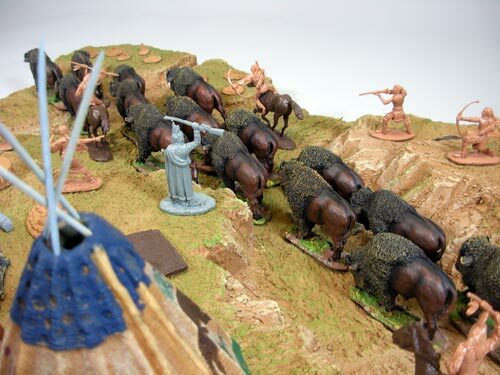 It's a great set, going to help me set up my Battle of Little Bighorn scene. 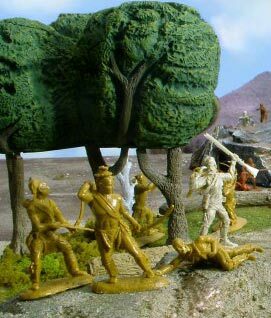 Here are some pictures from the Barzso website. I will add some of my own in a few days. Ok, thanks for checking in. 05/18/2006. 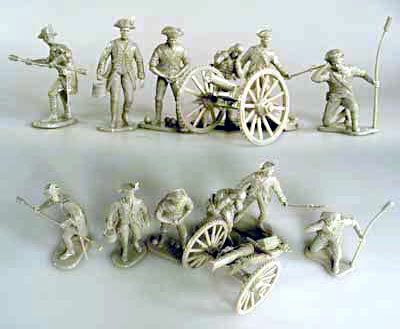 Here is some pictures of the New Imex American Revolution Artillery sets. They look nice, the red & blue sets are limited editions. Ok, thanks for checking in. 04/26/2006. Hi, I moved earlier this month and have been getting settled in. 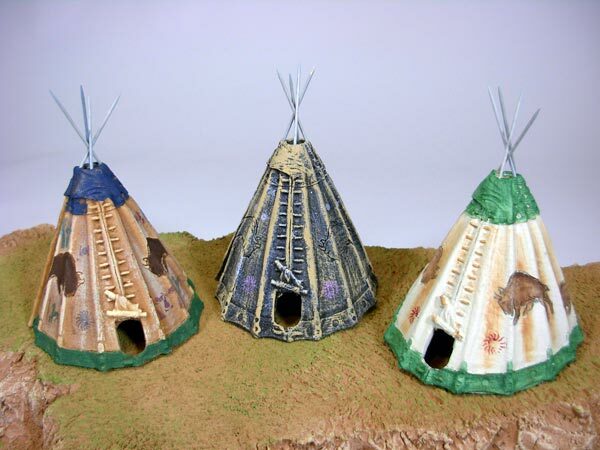 I am starting to paint again and should have some new items up in coming weeks. 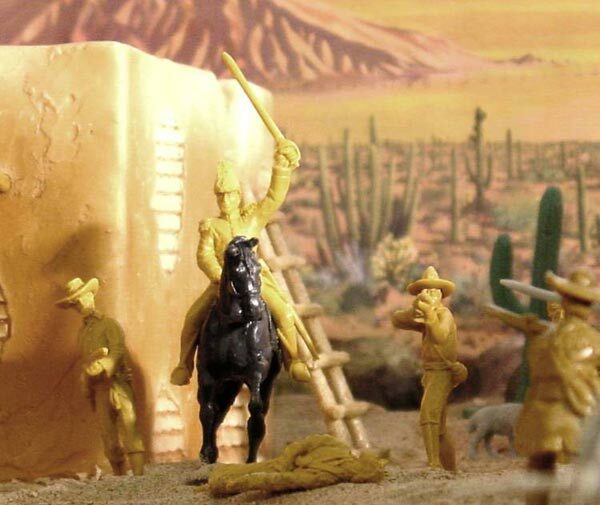 I have a new email address( warhoseminiatures@verizon.net ). Ok, thanks for checking up. 03/06/2006. Hi, still updating. 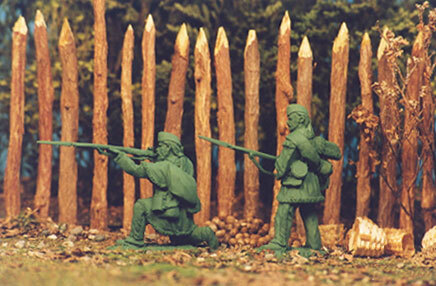 I have included 2 of Barzso Playsets latest playsets about the French & Indian War Period. Ok, thanks for checking up. 03/06/2006. 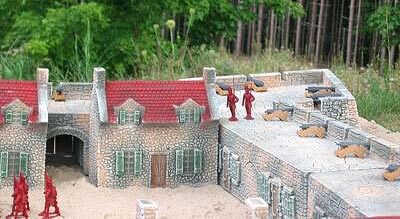 This Fort Ticonderoga-style Stone Fort sets up easily to recreate the massive stone forts of early American history. 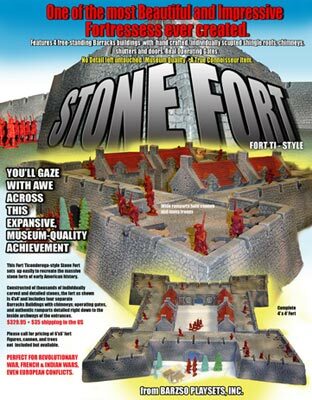 Constructed of thousands of individually carved and detailed stones, the fort as shown is 4' X 4' and includes four separate Barracks Buildings with chimneys; operating gates, and authentic ramparts detailed right down to the inside archways of the entrances. 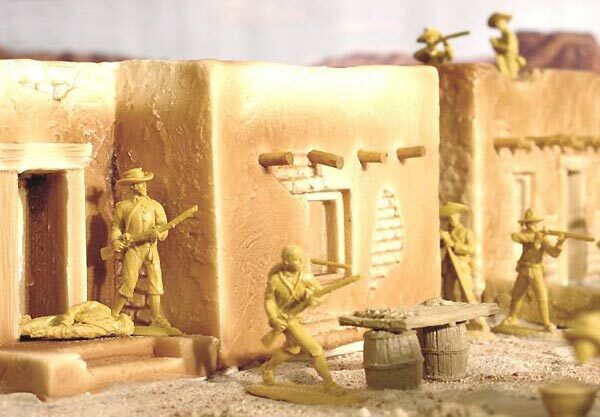 Perfect for Revolutionary War, French & Indian Wars, Even European conflicts. 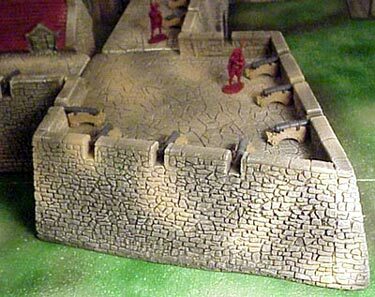 Highly detailed with plenty of room for troops and cannon inside the fort, as well as atop the walls. Ok, thanks for checking up. 03/06/2006. 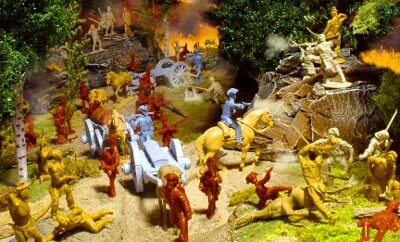 Braddock's Defeat Playset 250th Anniversary Edition Relive one of the most important battles of the French and Indian War. 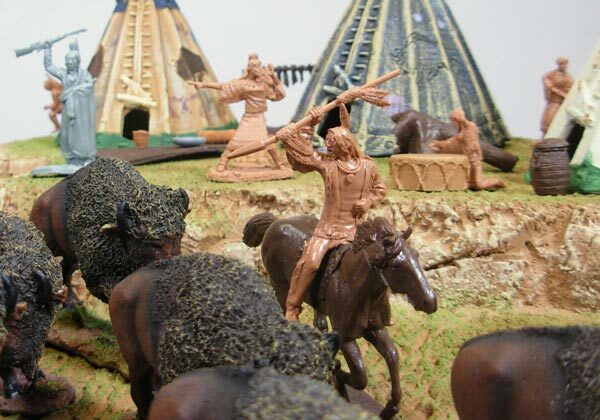 Help a young George Washington and the doomed General Braddock fight off the French Militia and their Indian allies, the Shawnee. 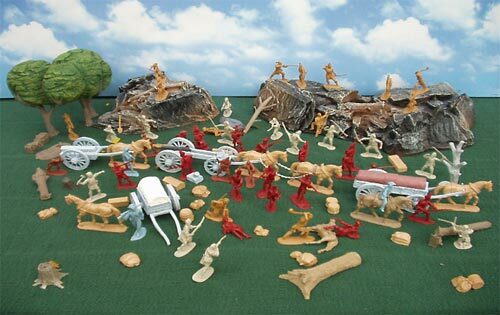 Your set comes complete with British Grenadiers, French Militia, Shawnee Indians, a copse of trees, 2 large ambush rocks that can connect in many ways, George Washington on horseback, General Braddock, landscape accessories, battlefield debris, and lots more! 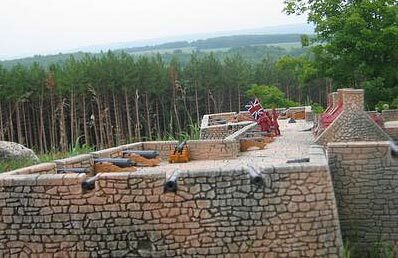 Set also includes an artillery train consisting of powder cart, tumbrel cart, ammunition wagon, and a 6 pounder cannon with limber, all meticulously reproduced using blueprints from John Muller�s Treatise of Artillery, 1757, and photographs of the artillery train currently on display at Fort Ligonier in western Pennsylvania. Ok, thanks for checking up. 02/21/2006. 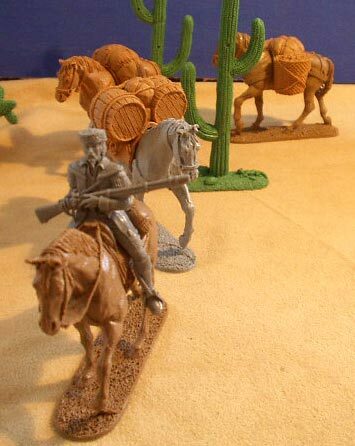 Hello, my New email address is warhorsminiatures@comcast.net. Right now I am in the process of moving. So there will be some changes here in the near future. I am going back to the basics. 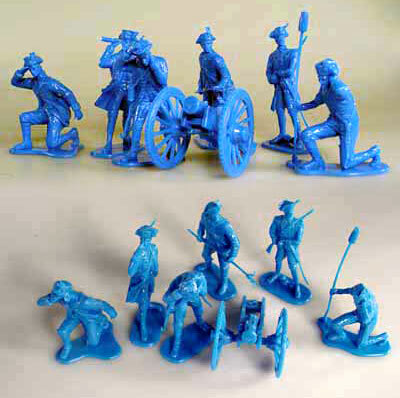 I will have some painted sets of Toy Soldiers on ebay in about two months, under Warhorseminiatures. 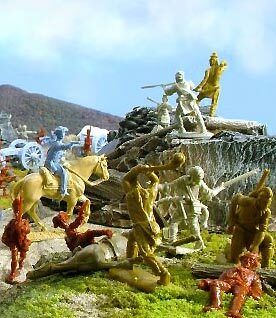 I am going to paint figures from the French & Indian War era, Alamo, American Civil War and maybe some Normans and Vikings. Ok, thanks for checking up. 05/14/2003- Hi, I am back. I have been real busy with 2 jobs, then some home improvements. ARRR!! 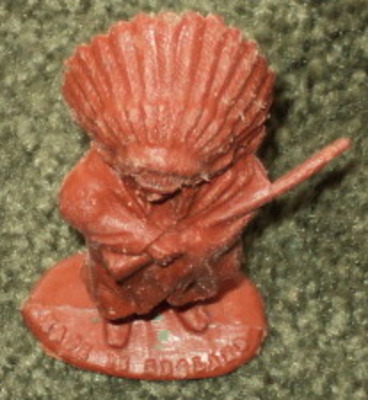 I just listed auction on ebay. 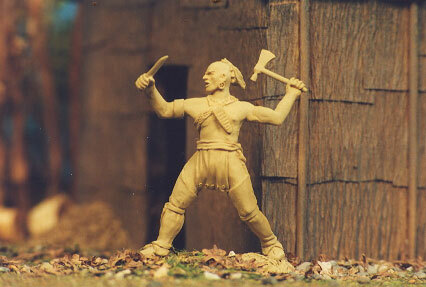 WarHorseMiniatures Will try to update some things around here soon. Also I am working ( as always:( ) on a Toy business. Will update on progress. Thanks, Mike. 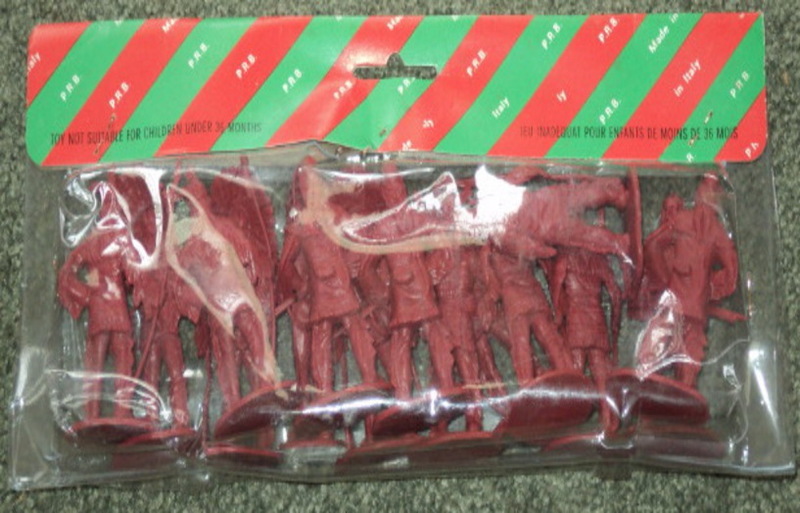 01/18/2003- Just list a For Sale page for Hand Painted Toy Soldiers. 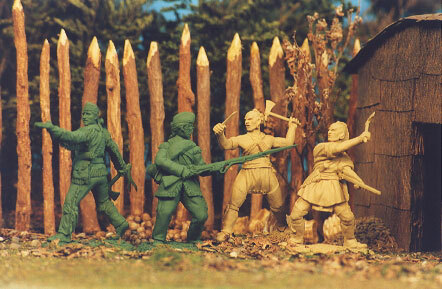 01/15/2003- Here are 2 Pictures of Conte's New Plastic Civil War Soldiers. 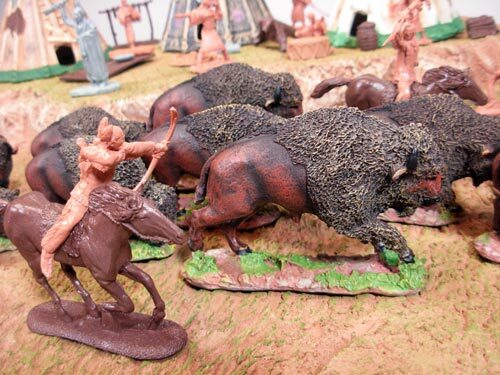 01/14/2003- Here are some pictures of Conte's future Roger Rangers and Woodland Indians.